Designed to look dark in certain lighting and shine colorful in the light, like black oil. Developed by New York-based colourist Aura Friedman to jazz up darker hair without bleach. 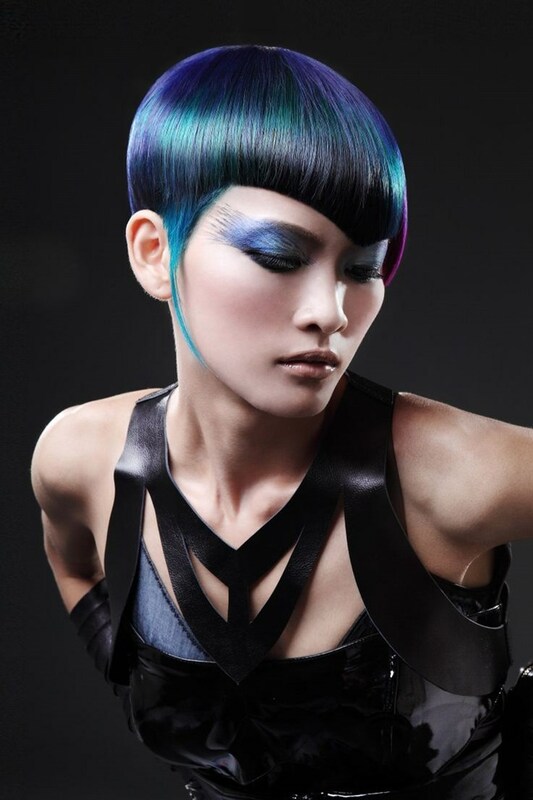 This style incorporates the use of intense purple, blue and green tones on an inky base colour. The process results in an iridescent effect also known as ‘duck feather’. The technique requires much smaller amounts of bleach. Unlike whole-head trends and lighter pastel shades, the deeper colours used to create the oil slick effect don’t fade so quickly. 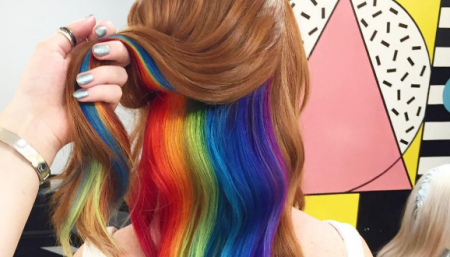 This look is decidedly different from the “rainbow” hair color trends of late; it is much more understated and actually works more effectively on darker hair. If your hair is a medium cool brown shade naturally without any treatment, to begin with your stylist will probably lighten your hair a smidge in order to create a more dynamic color payoff. Go for Moroccan Oil and Moroccan Oil conditioning masks at home in order to keep your hair fresh, healthy, and shiny. Catch Up Multi-Step Color Process. Oil Spill Color requires multiple steps. These steps are different for everyone but can include: Lighten, Tone, Multiple Color application, and Gloss. So make sure to make your Oil Slick Color appointment on a day when you have some free time. If you book your appointment online, book it as a “Double Process Color” and add “Oil Slick Color” in your appointment notes! This effect requires a very calculated application by a skilled professional, along with the use of many different products. These factors mean that this look will be more expensive than a typical color service, but if you love unique color it is definitely worth it! Bright colors tend to fade more quickly than regular color, but fading can be tempered with the use of good products. It will call for the use of professional shampoo and conditioner. Color bleeding is another issue that needs to be taken under consideration. Since this look is comprised of multiple colors, they can bleed into one another when you wash your hair. Howeer, the best way to mitigate this is to have your stylist add a clear gloss on top of your color once they finish. This will help seal in the colors, but won’t solve color bleed altogether. These looks are often photographed outside on a sunny day, which brings out vibrancy. The colors used for the Oil Slick look will be much more subtle indoors. This makes the look much more dynamic and versatile! Shampoo the hair separately in cool to cold water. Use a color extending shampoo and conditioner to prolong the color of the hair. 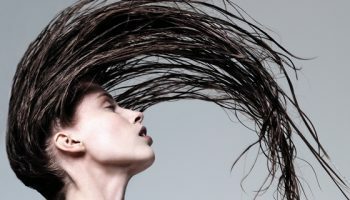 Opt for regular conditioning treatments to maintain the health of the hair. Let your creative instincts take over! Let the technique come from your heart and free hand the color by your feelings.